Earlier in the summer, Chris Rickerby, Risk and Ethics Manager, and Mary Hegarty, Mortgage Advisor, attended the Institute for Social Banking’s Summer School, which was held in Tallinn, Estonia. 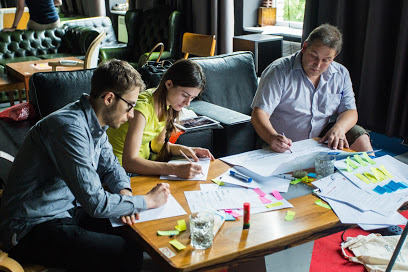 The Summer School is held every year and provides a unique opportunity for representatives of the values based banking and finance sector to learn more about the sector, share best practice and, explore opportunities and challenges for the sector. 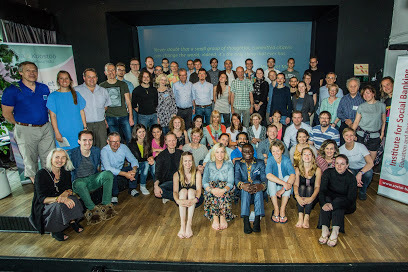 This year’s Summer School, the 9th one, reflected the recent growth of values based banking and focused on the future of sustainable finance against a backdrop of increasing digitalisation and development of disruptive technologies in finance. Alongside representatives from pioneering sustainable banks and ethical finance institutions from around the globe, Chris and Mary explored how values based banking can harness the power of an increasingly interconnected and digital world to increase the impact of sustainable finance. 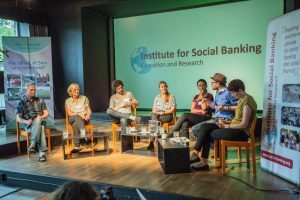 During the Summer School, the attendees heard from other social banking pioneers including Anna Laycock, Lead Strategist at The Finance Innovation Lab in the UK, Charles Eisenstein, a speaker and writer focusing on themes of human culture and identity and author of Sacred Economics and The More Beautiful World our Hearts Know is Possible, as well as Henri Laupmaa, who is currently developing Fundwise, an equity crowdfunding platform in the Baltic states.